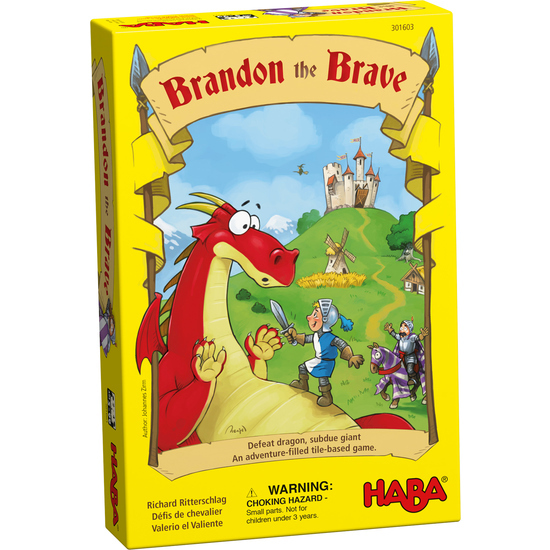 Want to be as strong, brave and glorious as the knight Brandon the Brave? To become a knight, all knaves first have to master regal tasks and prove that they have good intuition. Your task is to seek out giants, dragons, witches, and other dangers! The player who can skillfully place the field tiles next to each other, thus mastering the tasks, will be the lustrous champion at the end of the game.